I had a wild idea what would combine sci-fi, ancient Egypt, witchcraft with a dystopian sprinkle - but nothing too gloomy. I wanted to add the element of humour into the mix. I sent the original story as daily emails to those who signed up for it. Out the story went - with typos and all. After November I went through the story with the proverbial red pen. And then I sent it to my editor who ironed the text out into a more polished format. 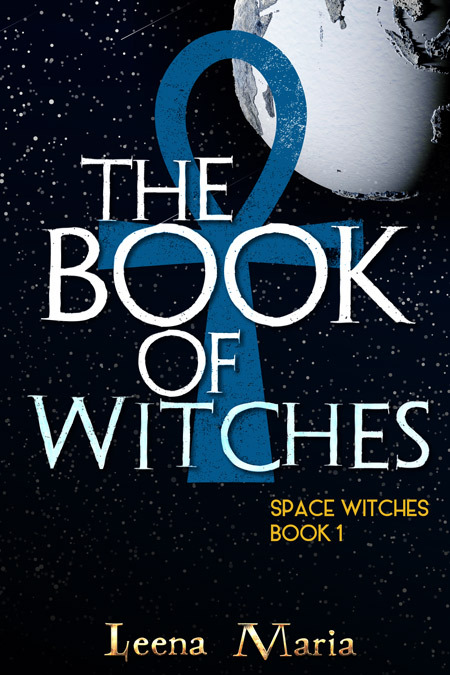 Space Witches book 1 The Book of Witches will soon come out as an ebook. Click here or the picture of the cover to read the first chapter of the book and some more info on what the book is about. The book will be out on 16th April 2019. Click here or on the book cover to go to the book's Amazon page where you can preorder it. 5.0 out of 5 starsOh, Wow !!! Character's where well rounded and each new person had their own issues, needed help, every character was well placed tension gets moving with in the first chapter. I personally loved the book as a pre - read for my Granddaughter. I just hope she likes it as much as I did. I received a free copy of this book in exchange for an honest review. So here it is! I enjoyed the book, it is a light entertaining read, Far less complex than the Nephilim Quest books (of which I am eagerly awaiting book 3). It had interesting ideas and references to Egyptology but no where as detailed as the NQ books. I liked the characters and was very impressed that it was written in a month. I didn't find it as immersive as the NQ books and found the ending a little abrupt, which is the only reason I didn't give it 5 stars. However I am looking forward to the next instalment and seeing how the plot evolves. If you enjoyed the NQ books and fancy a lighter read I can thoroughly recommend it. Maria has created an interesting world where rather than colonizing other planets or solar systems, they have built earth-like platforms in the vicinity of earth which is recovering from an ecological disaster. Add in an eclectic mix of religious images, mostly from ancient Egypt, and you have a setting that invites intrigue as well as the obvious battle between good and evil. This is a delightful tale that sets up Nina for several adventures ahead. I look forward to the next installment. Disclosure: A review copy of this book was sent to me by the author. All of the above opinions are my own. I really liked this book. It kept my attention and kept wanting to know what would happen next. I hope there is a second one soon! I love this author. Although I felt some of the story line took a little longer to develop it was a very enjoyable read. I look forward to the next book. "Not for the serious reader"--I agree. This is a light story that moves along quite well while developing the main characters and places including a different kind of 'halfway house' for departed souls. But, it is not a religious or spiritual story, either. 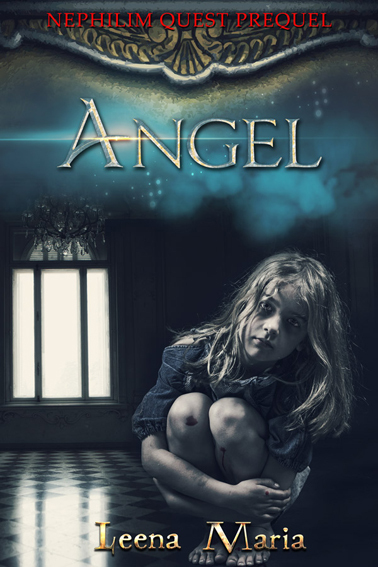 The primary goal of this first book was to help a cursed soul be released from her curse. It did not need to take place in space, but by doing so, it opens up new living styles and probably better cooperation between most of the peoples of Earth, but it really doesn't stray into politics either, which was just fine by me. Most nations have their own 'bubble' to live in that are all in the same orbit as Earth, which would need some form of propulsion to keep them there, but the story doesn't get into the science, either. Thus, light fantasy, but interesting. I agree with one reviewer that it ended rather quickly, but it did end at a good point IMO. 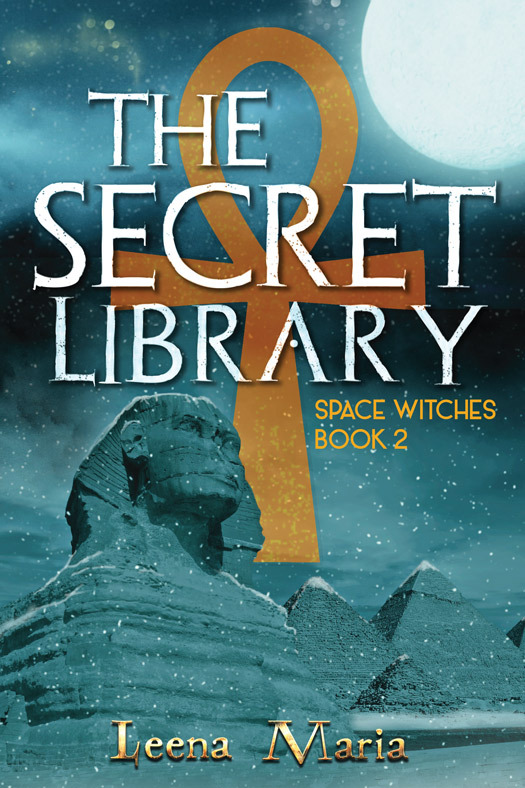 The primary objective was met, the "I didn't know I was a witch" reveal was handled with training begun, the immediate crises were handled while leaving us knowing a lot more can follow this first book. I look forward to a book 2. I received a free copy of this book in exchange for an honest review. I enjoy this author because she weaves her knowledge of Egyptology seamlessly into her stories. This book is set in space, but I never figured out what in the story demands that it take place there. There are so many characters that I had to make a list so I could keep up. I just combined a few in my head because they weren’t developed very much so it didn’t matter who was speaking. I also felt like it took a long time to get going. When Nina takes her entrance exam to the University and meets Miro, I felt like a new story was beginning (that would have been a good place to start Book 2). The last third of the book introduced more unnecessary characters and just when I thought something was about to happen… the book ended. I feel awful writing this review, but this book needed a different editor who could consolidate some of the characters and provide a clear beginning, middle, and end to this first installment. I'm still looking forward to seeing what happens next with Nina, Miro, and George.